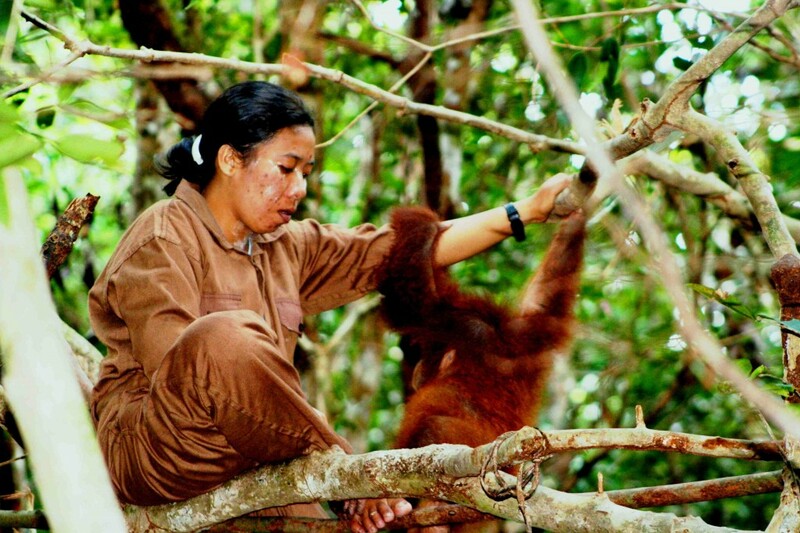 The orangutan (Pongo pygmaeus) rehabilitation and release program was FNPF’s first wildlife conservation project since the organization was founded in 1997. In 1998, FNPF was invited by the park management to manage the three orangutan rehabilitation posts in Tanjung Puting National Park, located at Tanjung Harapan, Pondok Tanggui and Camp Leaky. Between 1997 and 2002, FNPF successfully rehabilitated and released 20 orangutans into the wild primarily from the post at Pondok Tanggui. The project was highly successful, and after all of the orangutans that were released survived for a long period of time, the quality of our program became evident. In 2002, FNPF concluded its orangutan rehabilitation and release program seeing as new regulations restricted the release of orangutans that have been in contact with humans into an area with a wild population in order to reduce the spread of disease. Since 2002, our work with orangutans has consisted of rescue and translocation of wild orangutans from outside of the National Park (from farm, palm oil plantations or villages), to a safe and protected area such as Tanjung Puting National Park or Lamandau Reserve. In 2010, we rescued two orangutans from a palm oil plantation (see our News items for the 3rd and 4th quarters of 2010). The rescue and translocation project was only made possible after a series of community development and education programs were run in the area, which fostered good relationships with the village communities around the park. By making community members more aware of the threat to the orangutan and its habitat, they have become increasingly willing to support FNPF’s work and contacting our program whenever they find a wild orangutan instead of killing them as they would other invading animals. 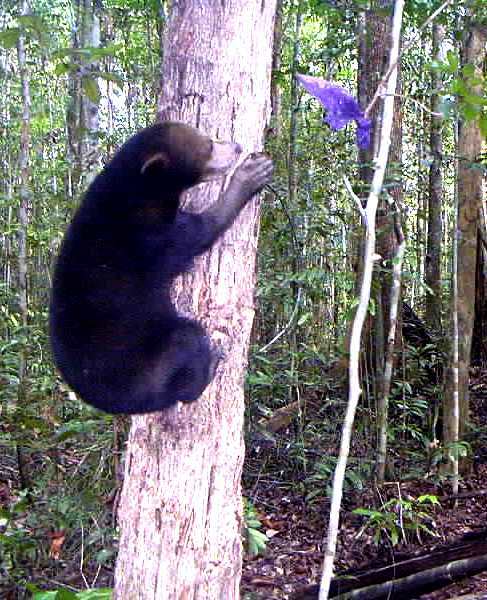 Beside orangutans, we have also rehabilitated and released a sun bear (Helarctos malayanus) that was brought in by a tourist who found it at a local home in 2003. 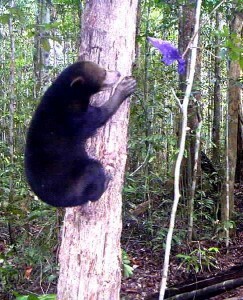 In 2008, FNPF also rescued a sun bear from a trap that was set in the park. (Click here to read more about Winki the Sun Bear). Our turtle conservation project has been built on a system of support from the local community, which has agreed to protect turtle nesting sites by the Sungai Cabang park. Previously, the turtle eggs were not only at risk of being taken by natural predators like wild boars, but they were also being collected by villagers. But with FNPF’s provision of education on food source sustainability and the importance of turtle conservation, the people at Sungai Cabang Village have voiced a willingness to protect nearly three kilometers of beach. Between 2006 and 2007, turtle eggs that were laid on the protected beach were collected by FNPF, relocated to a hatchery that was run in the village, and finally released back into the wild. 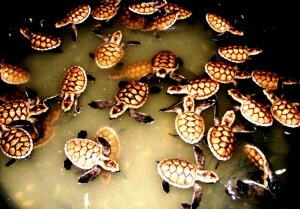 With approximately 2,000 hatchlings reintroduced to the wild by the end of 2007, the program was viewed as a great success. But unfortunately, due to a lack of funds, the turtle conservation project has been put on hold. (We need approximately $7,500 annually to run the project). 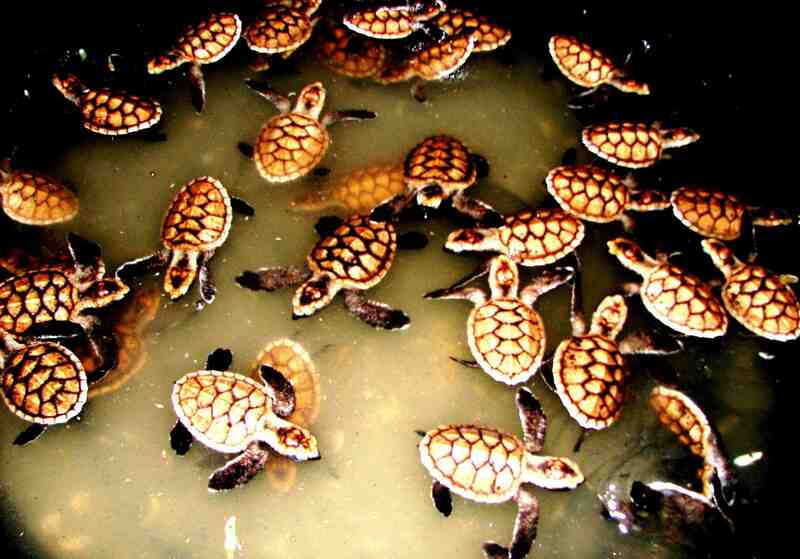 Please contact us if you would like to support FNPF’s sea turtle project in Kalimantan. In addition to our specific projects tailored to individual species, FNPF also makes an effort to help any wildlife that we are able to rehabilitate, release, and protect in the park. After being kept illegally in captivity or wandering onto a plantation or farm, all sorts of wildlife find themselves in need of a more secure place to live and breed. This work was possible thanks to our donors, including the Humane Society International (Australia).